I'm a photographer based in Moab, Utah, located in the heart of world famous red rock country and surrounded by the best national parks in the world. Being alone in the outdoors is my photographic passion. 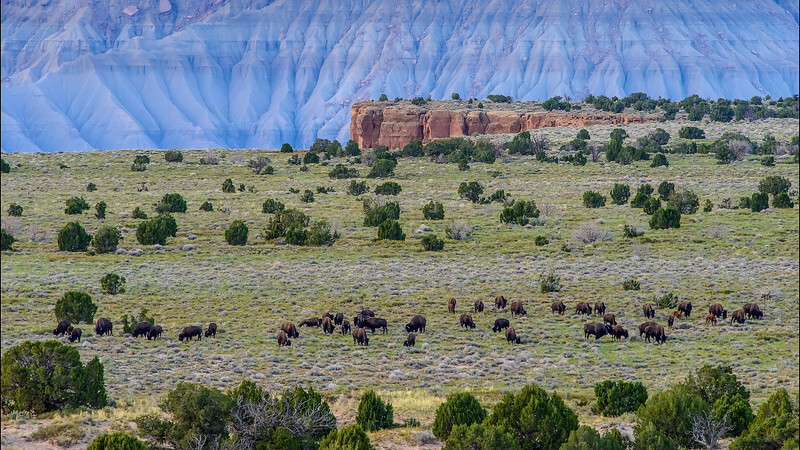 My favorite things are waiting for a spectacular sunrise or sunset, stalking and photographing the elusive ghostly bison up in the Henry Mountains, rare desert bighorn sheep in the Canyonlands, or black bear, elk, and other animals in Moab's famous La Sal Mountains. Often times I can be found looking for ancient ruins or Anasazi writings too. My cameras are just an excuse for me to get out and away though, and also a way to bring back and share the beauty that I've managed to stumble across in this unique and wild state. Since people are sometimes curious about my equipment, I'm a Nikon shooter exclusively. I primarily use the Nikon D850 or D810, the 45mp & 36mp sensors are fantastic. My favorite landscape lenses - All the PC-E Nikkor series lenses. Others I use as needed include the 14-24mm, 24-70mm and the 70-200mm. And when chasing wildlife, the 105mm f/2.8G vr macro lens, the 300mm f/4 af-s, and the 80-400mm f/4.5-5.6G vr. Whew! That's too much! All images copyright Craig K. Carr. They are protected by U.S. and international law and may not be copied, published or used in any manner without written permission.